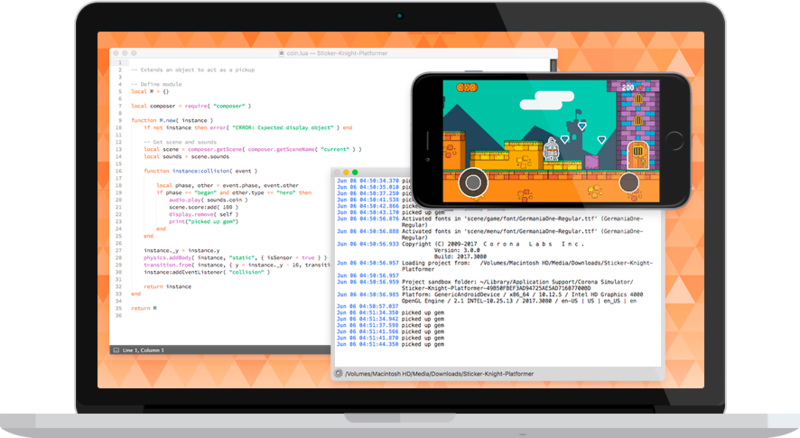 Corona is a cross-platform framework ideal for rapidly creating apps and games for mobile devices and desktop systems. 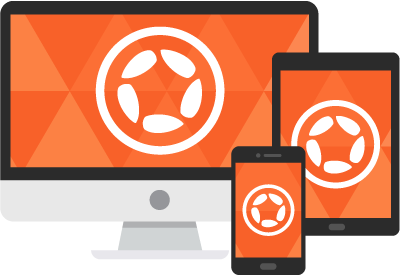 That means you can create your project once and publish it to multiple types of devices, including Apple iPhone and iPad, Android phones and tablets, Amazon Fire, Mac Desktop, Windows Desktop, and even connected TVs such as Apple TV, Fire TV, and Android TV. Lua is an open source scripting language designed to be lightweight, fast, yet also powerful. Lua is currently the leading scripting language in games and has been utilized in Warcraft ™, Angry Birds ™, Civilization ™ and many other popular franchises. Select from numerous plugins which extend the Corona core for features like in-app advertising, analytics, media, and much more. If it’s not already in the core or supported via a plugin, you can call any native (C/C++/Obj-C/Java) library or API using Corona. 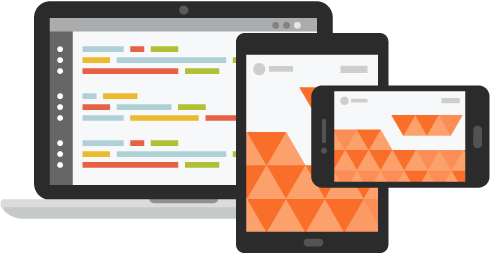 Develop for mobile, desktop, and connected TV devices with just one code base. No hidden fees, charges, or royalties. No matter if you are an indie developer or a large publisher, you will never pay for core functionality. Corona speeds up the development process. Update your code, save the changes, and instantly see the results in our instant-update Simulator. When you're ready to test on real devices, build and deploy your app just once and then see code/assets update automatically, all over your local network. It's like magic. 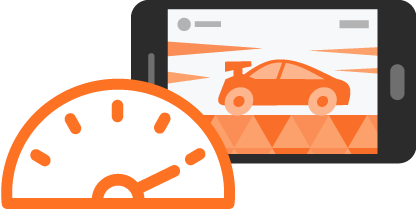 From bleeding-fast OpenGL graphics to the lightweight scripting power of Lua, Corona is optimized for performance at every core level. With Corona, your apps are automatically compiled at build time, streamlined for performance and stability. More than 500,000 developers and an active, helpful forum are not just facts. They’re all about 8 years of trust and inspiration in Corona. Our team is also there. Our marketplace is where you can easily find or distribute whatever you need to build the next blockbuster game or app. Full project templates, graphical assets, music, sound effects, and a wide selection of plugins are all waiting for you. Corona's source code is now open for developers to add features to that they need and even contribute back to the core product. Get priority support provided by our engineering team via our community Slack channel and email. “... it took mere hours to get used to Corona. John Romero, Romero Games Ltd.
Join over 500k developers worldwide using Corona to create hit mobile apps. Corona’s source code is live on GitHub and we have a FAQ page about how it’s going to work. Read this post to learn more!